This thin heating mat will keep your mushrooms growing, even in the coldest months of winter. The mat works by use of infrared radiation. This means it warms up objects in close proximity or direct contact, such as a mushroom grow kit, but will not heat up the entire room. Turn off your radiator and start using this mat instead; it's safer, cheaper and will do wonders for your harvests! Note: it's best to avoid direct contact between the heating surface and the grow kit. Use a piece of cardboard or a folded towel. Heat is spread evenly across the surface. What to do if the buds haven’t developed after ten days. Take the cake out of the plastic box, put it back in the plastic box on its side and start again with two days with the heat mat switched on, then switched off. 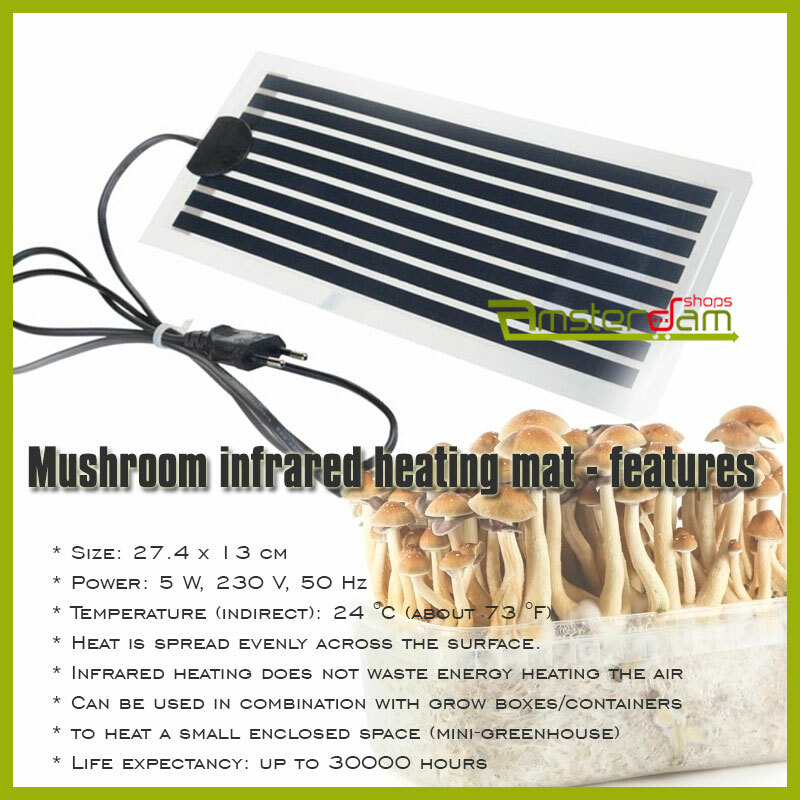 Share your experience about Infrared Mushroom Grow kit Heating Mat with other customers. Submit your tips or thought on this product, be detailed and specific.